In time for summer vacation, Margot Grabie has created a new program that is designed to raise awareness of the dangers of texting while driving. Working from her Hancock Park home, she has many followers who recognize the danger of this modern-day-hazard. With a presence on Instagram, Twitter, and Facebook, Grabie is successfully sharing her concern about distracted driving. “My campaign may not have a traditional solution, but this isn’t a traditional problem. People have a fatal attraction to their phone, even when driving and innocent lives should not pay the price for it. My goal is to raise awareness and make our community safer for drivers, pedestrians, cyclists, and most importantly our family,” she said. 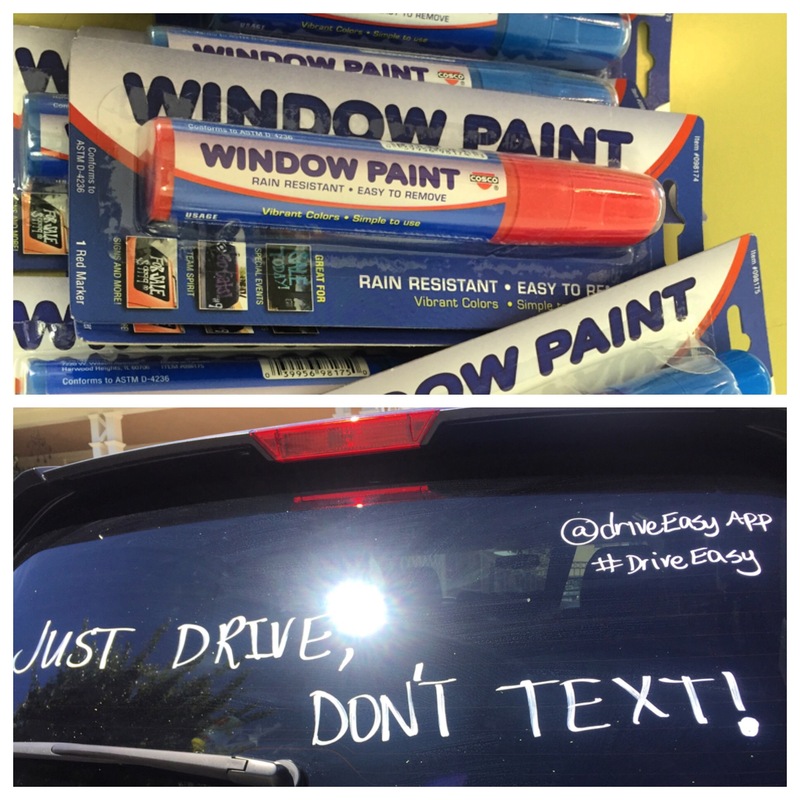 The campaign will mail free window paint markers, so drivers can handwrite their “No texting and driving” message on rear car windows. By doing this, the driver is transforming their car into a mobile billboard reminding drivers behind them to stop texting while driving. Research recently commissioned by AT&T found that 70% of smartphone users are on their phones while driving. Of those users, 40% are checking in with (or posting to) social media, 30% are doing web searches, and 10% video chat. The study, conducted by Braun Research, polled 2,067 U.S. residents ages 16-65 who use their smartphone and drive once or more per day. A US Department of Transportation 2011 report showed that women under the age of 21 are the highest abusers of cell phones while driving and approximately 20% of car accidents which involve an adult under the age of 21 are due to the misuse of the cell phone.